Could this “Planet of the Crossing,” called ‘Nibiru’ by the ancient Sumerians, be the actual culprit for Earth’s pole shifts? Could the timing of this object’s passage be why so many ancient cultures believed that the Earth underwent cyclic destruction every 3,600 - 4,000 years? The logical conclusion to all of these questions is obviously -- yes! We must also conclude that this rogue ‘celestial object’ has a fairly predictable orbit (possibly around thirty-six hundred years) and it was the attempt to keep track of this object’s periodic passages that made the Sumerians, Maya, Inca, Egyptians and so many of their ancient counterparts build and maintain very sophisticated and accurate observatories -- all in a gallant effort to keep track of this object’s ‘cycle of destruction’ which it reaps upon the Earth. The ancient Sumerians may have called this “Planet of the Crossing,” ‘Nibiru,’ but modern-day astronomers have now labeled it Planet-X. Today, the science of astronomy is in its infancy; we still know little about our own solar system and even less about the universe at large. Even the little that we do know (or at least think we know) about our solar system has only recently been discovered. For instance, the planet Uranus was completely unknown to western scientists until very high-powered telescopes could be produced in 1781. Neptune was only pinpointed by astronomers (guided by mathematical calculations) in 1846, and it wasn’t until the 1930s that Pluto was actually discovered. Today, astronomers are still struggling to identify all of the objects in our own solar system. It wasn’t until 1999 that Prospero, Setebos and Stephano, three of Uranus’s moons were discovered. In January of 2003, astronomers announced that they had just discovered three new moons of the planet Neptune. There types of discoveries are happening all the time, almost on a daily basis. We are however, still in the beginning stages of our astronomical knowledge and there is a lot about our own solar system that we still don’t know or understand. For example: After Pluto was discovered in the 1930s, it became evident that this was not the last of our solar system’s planets that needed to be accounted for. For several decades after the discovery of Pluto, astronomers watched as the outer planets of our solar system displayed strange ‘wobbles,’ and seemed to behave as if they were being ‘pulled’ out of their normal orbits by something from deep space - something quite massive existing outside our solar system. By the late 1970’s, most astronomers had enough theoretical and mathematical evidence to be convinced that our solar system was in fact composed of more than nine ‘known’ planets. Just like the ancient Sumerians stated in their historical records, our solar system had a ‘10th Planet,’ which seemed to be traveling in deep space out beyond the normal boundaries of the solar system. The only thing left to do at this point was to identify this dark, mysterious object traveling somewhere outside the orbit of Pluto and to determine its exact ‘orbital track’ around our Sun. In other words, where exactly was this object, and more importantly -- where was it going and when! Astronomers are readying (visible light) telescopes to probe the outer reaches of our solar system for an elusive planet much larger than the Earth. Its existence would explain a 160-year-old mystery. The pull exerted by its gravity would account for a wobble in Uranus’ orbit that was first detected in 1821 by the French astronomer, Alexis Bouvard. And shouldn’t we assume that the ancients (including the Sumerians) ‘got it right’ the first time? The above article makes two important points that should be noted at this time. First, this story mentions this sought after object has a highly ‘elliptical’ orbit around our Sun. This means that its orbital course takes it through our inner solar system as it travels around our Sun, and then back out into deep space -- just like a comet. It’s this object’s passage through out inner solar system (where the Earth is also located) -- that causes all of the geologic upheavals to our planet. The second important point the above article mentions is that this huge celestial object, many times larger than Earth, has an orbital plane which is ‘tilted’ to the normal orbital plane of our solar system. In other words, picture a large dinner plate sitting on a table. If our Sun was hypothetically located in the middle of this plate, all the known planets would be travelling around the Sun while remaining on, or close to, the plate itself -- this is what’s known as the orbital plane of the solar system. The nine known planets in our solar system orbit around the Sun in a semi-flat plane of travel. But this sought after 10th Planet does not follow this normal orbital trajectory. It travels around the Sun by coming up from ‘under’ or ‘below’ the plate, and then travels away from the Sun ‘above’ the plane of the plate. This ‘abnormal’ orbital path may be another reason why it is so difficult to visually locate this object approaching our inner solar system from behind the Sun. Throughout the early 1980’s, however, astronomers searched for this elusive 10th Planet without success. Even though NASA could theoretically determine where this planet should be located, and then point their powerful light gathering telescopes in that direction, this object did not seem to be emitting any ‘visible’ light signature -- and NASA was then forced to try and find another means of actually observing this massive ‘dark’ object approaching from deep space. When scientists noticed that Uranus wasn’t following its predicted orbit for example, they didn’t question their theories. Instead they blamed the anomalies on an as yet unseen planet and, sure enough, Neptune was discovered in 1846. Now astronomers are using the same strategy to explain quirks in the orbits of Uranus and Neptune. Thomas Van Flandern of the U.S. Naval Observatory...admits a tenth planet is possible, but argues that it would have to be...big..at least the size of Uranus (or larger). Both of these articles from June 1982 are also important because they both mention that NASA was using the Pioneer 10 and 11 spacecraft in an attempt to positively identify Planet-X. The reason this is important is because both of these spacecraft are equipped with ‘infrared detectors.’ Remember, NASA was not having any luck finding this object with ‘visible light’ telescopes, so they had to try something new -- and ‘infrared’ detection equipment was the next logical step. QUESTION: Why all the sudden interest in Planet-X? With budget restraints being what they are, why was NASA, JPL, the U.S. Naval Observatory and the Ames Research Center (utilizing both the Pioneer 10 and 11 spacecrafts and a host of other powerful observatories from around the world) all of a sudden becoming so ‘interested’ in ‘Planet-X’ in the early 1980’s -- and not so much now? Did NASA and other government institutions begin to figure out and accept the true cataclysmic history of planet Earth? Did it all of a sudden dawn on someone (in the government) that “Nibiru” might be on its way back into the solar system? And, therefore, was it time to start looking for this object (again) like so many ancient civilizations in the past did? Then, later in 1983, NASA struck pay dirt! NASA’s newly launched IRAS (Infrared Astronomical Satellite) actually spotted a large, dark, mysterious object coming towards us from the depths of space. Their discovery was first mentioned in a 1983 Washington Post interview with the chief IRAS scientist from JPL in California, Dr. Gerry Neugebauer. A heavenly body possibly as large as the giant Jupiter and possibly so close to Earth that it would be a part of this solar system has been found in the direction of the constellation Orion, by an orbiting telescope (IRAS)...So mysterious is this object that astronomers do not know if it is a planet, a giant comet, or a nearby proto-star (dwarf star) that never got hot enough (or big enough) to become a star. “All I can tell you is that we don’t know what it is,” said Gerry Neugebauer, chief IRAS scientist. The most fascinating explanation of this mystery body, which...casts no (visible) light and has never been seen (before) by optical telescopes on the Earth or in space, is that it is a giant gaseous planet, as large (or larger) than Jupiter. (Keep in mind that Jupiter is 318 times the size of Earth). As we shall soon see, the fact that this object casts no ‘visible’ light and was finally spotted by an ‘infrared’ telescope, is a very important piece of evidence in identifying what this object actually is. And then on 10 September 1984, US News & World Report published an article entitled: “Planet-X -- Is it really out there?” According to this article, astronomers were studying this newly discovered object, which had now been verified several times, but still were not sure exactly what it was. The article mentioned that the Pioneer 10 and 11 space probes were going to help further investigate this mysterious object, which was suspected to be the legendary 10th Planet. Then, all of a sudden, any further ‘confirmation’ or ‘public discussion’ of this object from any ‘official source’ -- immediately stopped. Scientists at NASA, JPL and many other government institutions studying the location of Planet-X, were mysteriously and officially ‘silenced’ and ‘would not’ or ‘could not’ discuss this subject any further. Shouldn’t we be asking them why?? Any further investigation of this mysterious object was also at this point, ‘compartmentalized.’ Compartmentalizing is a process of breaking a project into so many small, isolated parts, that the people working on the project have no idea of what the full project entails or is made up of. A good example of this is the designing and building of new secret military aircraft. Different teams of people work on different components of the plane, some work on a wing, others on the landing gear, still others on the electronic systems, and so on. Very few people, however, know what their individual systmes are ultimately being designed for -- and only a few people at the very top of the project know the airplane’s overall design, components and military designation. As we will see, suppressing a scientific finding like the discovery of the 10th Planet, and then compartmentalizing any future research of this object, is extremely effective. Today most astronomers, even within NASA itself, have no idea this object has been discovered and is probably heading toward planet Earth. As the 1980’s moved along, it was rumored that both the Pioneer 10 and 11 space probes were continuing to monitor this newly discovered celestial object, triangulating its exact location and calculating its trajectory and speed, but NASA (who now had the topic of Planet-X sealed under a lid of national security) -- would not ‘officially’ confirm any of this information. This sudden ‘wall of silence’ is certainly understandable in light of what we have already investigated in this book. If the Earth has been repeatedly visited in the past by this now ‘inbound’ object, and if this object’s massive gravity were responsible for destructive geophysical upheavals of the past (and the total destruction of many ancient civilizations), the last thing any ‘government officials’ would want to do is star alerting the general public to this predicament? 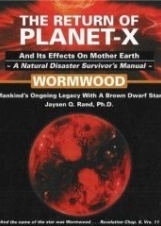 It is likely that once NASA and other government institutions began to realize the full magnitude of the situation we are currently facing, the lid of national security was tightly placed over any further discussion of Planet-X, and subsequently, any further release of information regarding the details of this object was strictly prohibited and continues to this day. But secrets such as this are hard to maintain and soon Dr. John Anderson, a celestial mechanics investigator with NASA’s Pioneer spacecraft project, confirmed o reporters that he believed a large ‘celestial object’ was orbiting our Sun -- even though recent analysis of the trajectories of the Pioneer 10 and 11 spacecraft have shown no indication of the gravitational effects of this celestial object.19 Oops! Could it be that the rumors about Pioneer 10 and 11 spacecrafts (being sent out to track this celestial object) were more accurate than the public was being told? Dr. Anderson also went on to tell reporters that this object in question (the 10th Planet) probably traveled in an elongated ‘ellipse’ around our Sun -- nearly at right angles to the plane of the orbits of the ‘nine’ planets in our system as it approaches Earth from behind (the light) of the Sun. Once again, picture all of the planets in our solar system traveling around a dinner plate and this tenth planet (acting like a rogue comet) -- coming up from under the plate and crossing through the plane of our solar system at a right angle -- then heading back out into deep space again above the plane of the plate. NASA and other government research institutions continued to maintain a tight grip on the release of any further information regarding Planet-X over the next several years, but then a public relations nightmare suddenly struck NASA. In the 1987 edition of the New Science and Innovation Encyclopedia, a diagram was accidentally published within an article discussing the purpose of the Pioneer 10 and 11 space probes. This diagram clearly showed both space probes triangulating a fix on what was labeled the “Tenth Planet.”20 Needless to say, both NASA and the New Science and Innovation Encyclopedia had some serious explaining to do! --Oops again!! Or was this ‘Oops again’ a planned leak? We can only assume that this information was accidentally leaked and was never supposed to be published or released into the public domain. The article was immediately retracted and once again further information regarding the 10th Planet was tightly suppressed -- but persistent rumors still circulated regarding NASA’s clandestine observations (via its two satellites). These are extremely important pieces of our puzzle, because from everything that is known about this object, we can safely say it ‘sneaks’ up on the Earth and is therefore not illuminated under normal conditions. Remember that in the early 1980’s NASA started looking for this 10th Planet using large ‘visible light’ telescopes, but had no success. It wasn’t until they started using ‘infrared’ telescopes that they found what they were looking for -- and even these had to be launched into space, outside of Earth’s atmosphere, in order to be able to see this object. As already mentioned, the Pioneer 10 and 11 spacecrafts are both equipped with infrared detectors, which is why these space vehicles were selected to help in monitoring and tracking Planet-X. This lack of visible luminescence (until the object is physically in the Sun’s solar wind and actually out-gassing its atmosphereic material) rules out normal rocky planets and illuminated stars and leaves only one category of celestial objects -- brown dwarfs! Is the entire concept of a giant ‘brown dwarf’ star cruising the solar system still unthinkable? These objects are so massive, however, that if one were to pass through our inner solar system (even if it remained millions of miles from Earth), its massive gravitational influence would be more than ample to violently rip the Earth’s crust around its molten core. A brown dwarf star is the perfect candidate to sneak up on the Earth and cause ‘lithospheric displacement’ -- thus triggering the massive floods, earthquakes and violent winds, with which we are now so familiar.